We're excited to announce the release of field recordist Kate Carr’s new album, I Had Myself A Nuclear Spring, due 29th August 2016. Kate Carr was first brought to our attention by Cheryl Tipp, curator of Wildlife & Environmental Sounds at the British Library. Cheryl guest-edited An Antidote To Indifference Issue 13: Field Recording Special #2 , which featured an article by Kate entitled ‘Real and Imaginary Journeys in Belfast’. An eerie symphony of cracking power lines, cries of water birds and the high pitched whine of nuclear towers, Carr’s recordings trace the temporary wetlands of Marnay-sur-Seine, situated alongside a large nuclear power plant, just after the flooding of the river. Carr has been investigating the intersections between sound, place, and emotionality both as an artist and a curator since 2010. Her work has taken her from the Arctic circle to the borderlands of South Africa, with stops in rural Thailand, fishing villages in Iceland, and rainforests in Mexico, along with extensive explorations of western Europe, Ireland and the British Isles. '[A] sound palette in perfect balance, both soggy and industrial, wild and harshly electric...a vivid portrait of technology, flora, water and fauna in unexpected proximity.' Luke Turner. Read the full review: here. 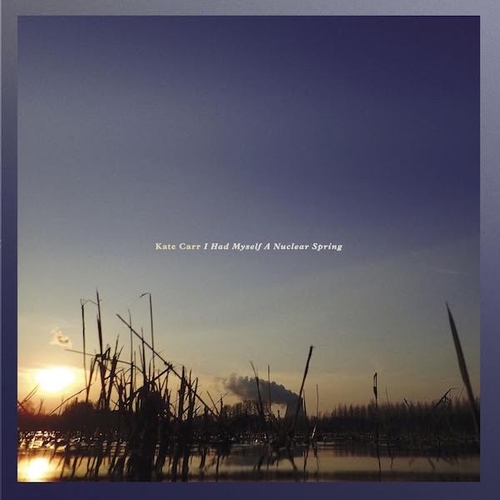 Unfortunately at this time we can't offer all the Kate Carr - I Had Myself A Nuclear Spring tracks as individual wavs, as some of these tracks exceed the shops maximum (9mins) download length.